As I wander the winding cobbled alleyways of Barcelona’s Gothic quarter, I often pop into random bakeries and cafes to see what they offer. Sometimes I will excitedly see a sign claiming “Gluten-Free” products inside, but am usually disappointed by the lack of actual goods. 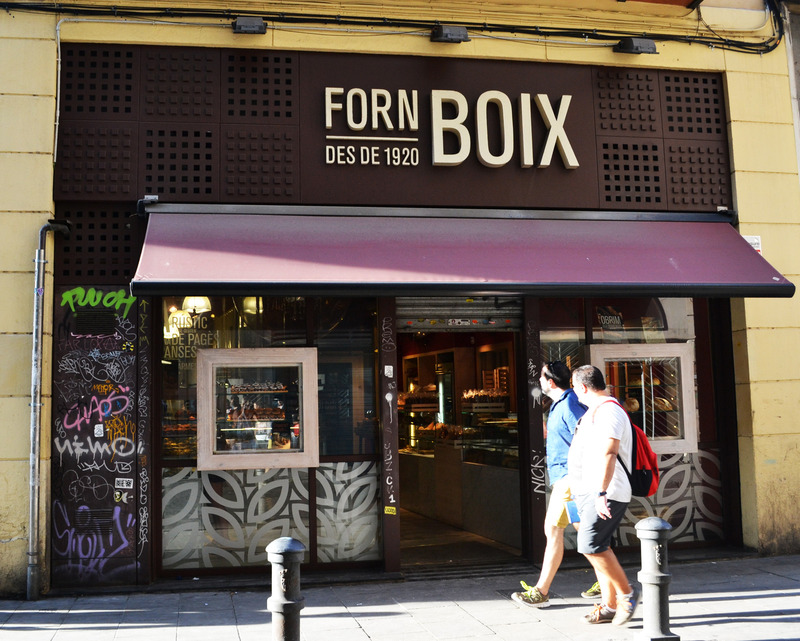 Recently, however, I was delighted to find a quaint little bakery just steps off La Rambla, on the other side of the Gothico in the Raval neighborhood called Forn Boix. Passers-by can’t help but look inside – it smells so good! Look past all of that glutie stuff to the table of goodies in the back. They specialize in hand made artisan baked goods and the shop has a friendly local attitude. Upon entering, customers are dazzled with amazing looking and smelling rustic loaves, baguettes, cookies, and more. As a member of the GF movement, you might think you were trapped in a glutie’s heaven, but not to fear! 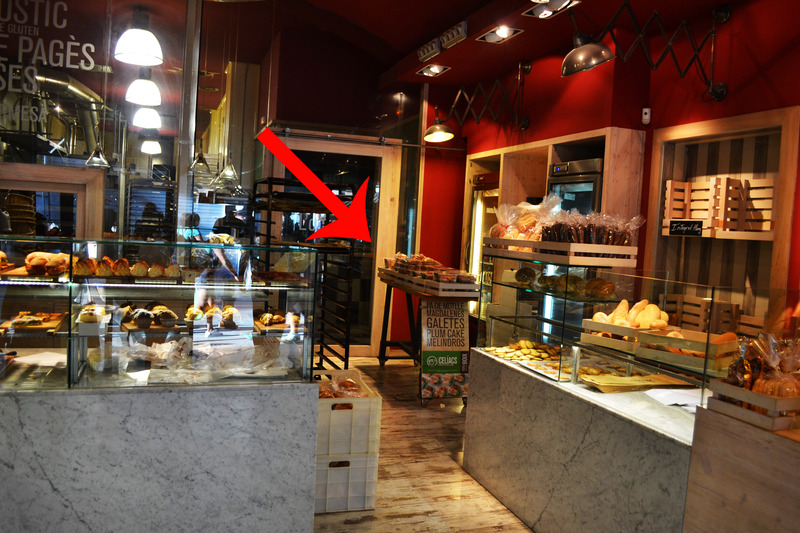 In the back corner of the shop, slightly behind the check-out counter in an area that almost feels awkward to enter, there is a table, laden with baked goods in plastic sealed boxes. Everything they make is contaminant free. They bake their GF products in house, in a sealed off gluten proof chamber amd then pass them directly into the sealed boxes. They make some amazing loaves of sandwich style bread called “pan de molde” which comes in several flavors like sunflower seeded, pumpkin seeded, or mixed seeded. This bread is not the softest right out of the box, but its not crumbly and dry like grocery store bread either (so its definitely useable for a picnic on the go). If you do take it home, it toasts up really nicely, and has a unique flavor that makes it worth the cost and trek to the Gothic. Besides bread, they bake delicious double layered cookies filled with either hazelnut chocolate or berry jam, vanilla sugared breakfast muffins (Magdalenas), and more. The food here is of high quality, and as such you should expect to pay a premium price for such deliciousness. 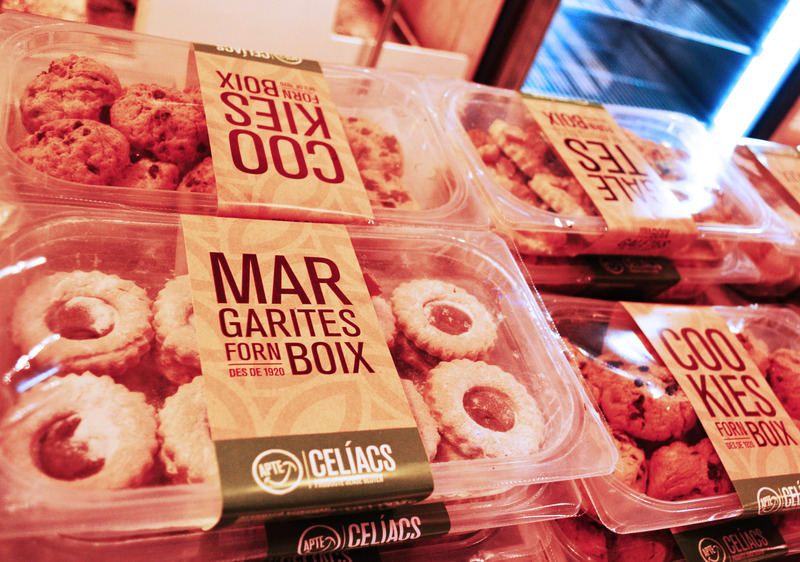 A loaf of gluten-free bread will run you upwards of 5€ as will a box of the cookies. One thing though, beware of the sweet bread that looks like sandwich bread. The loaf has sunflower seeds on top, but is also encrusted with sugar. When I asked about it several weeks after I bought it, the cashier told me that it was an experiment, and they would not be making it again…but just look for yourself before you buy. The sugar was visible, but I didn’t know what it was until it was too late. Thank you so much for this information. 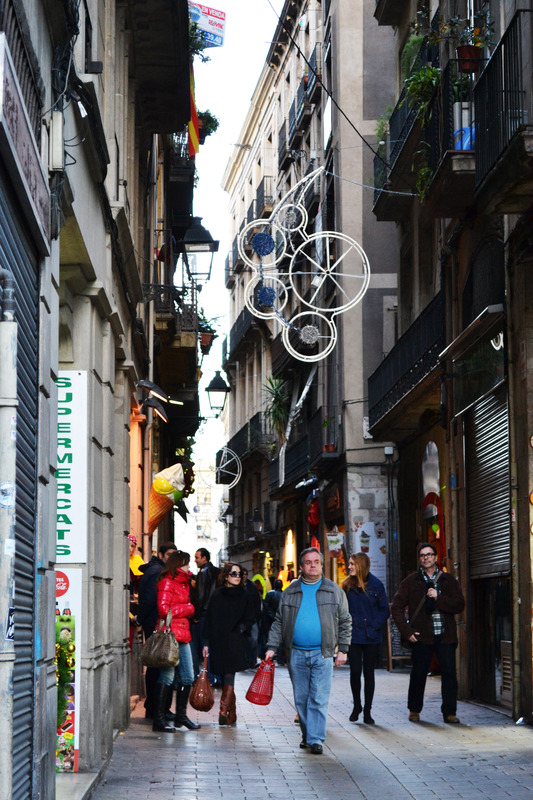 I will be in Barcelona in September & will definitely find this place.